It's literally worlds apart, but it's quite possibly our favorite corner of TV's Arrowverse, Supergirl, focused on the last daughter of Krypton, boasts some of TV's sharpest writing, coolest action, and an ever expanding family of super characters like Alex, Jimmy, J'onn, Kara's famous cousin, and the Legion of Superheroes. Today, we take a look back at 10 things you never knew about the series as The CW renews this popular DC adventure drama for Season 4. We should note: this story does contains a few mild spoilers for Supergirl. Kara Danvers wasn't the first Supergirl. Back in the day, Superman was so popular, there were a number of spinoff comics running at any given time, including titles like Superman's Pal Jimmy Olsen, Superman's Girlfriend Lois Lane, and Superboy. The first female Superman type character was the Lois Lane version of "Superwoman" way back in Action Comics #60. A 1960 Superboy story gave us Claire Kent, aka Super-Sister, after an alien overheard Superboy complaining about women drivers and decided to teach him a lesson with a quick gender-swap. The first proper Super-Girl arrived in Superman #123, via a magic wish from Jimmy Olsen, but that one died saving Superman. Finally, Kara Zol-El arrived in Action Comics #252, via a very convoluted origin story. 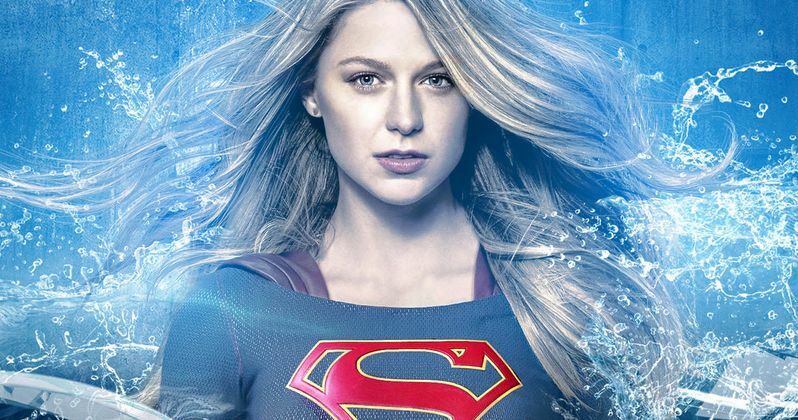 It's hard to imagine anyone else as TV's Supergirl now, but before Melissa Benoist won the role as National City's most powerful protector, there were of course some other women in the running for the lead. One of them was Claire Holt, who we here at TVWeb absolutely adored on the The Vampire Diaries and its spinoff, The Originals. Other actresses reportedly up for the part at one time or another include British soap star Gemma Aktinson and Elizabeth Lail, aka Anna in Once Upon a Time. Supergirl star Melissa Benoist rose to fame as Marley Rose on Glee. The hit Fox musical dramedy also featured future Flash Grant Gustin and Melissa's real life ex-husband, Blake Jenner, who briefly appeared on Supergirl as Cat Grant's son. In 2017, the CW gave fans a mini-Glee reunion with a two-part musical crossover, where Supergirl and Flash encountered Music Meister, played by Darren Criss. Of course this isn't the first time Superman's cousin has flown from the comic page to the screen. Most notably, there was the 1984 movie, which starred Helen Slater. In an awesome meta nod, much like former Flash John Wesley Ship playing Barry Allen's dad on The Flash, Slater plays Kara's adoptive mother on Supergirl. Of course that's not the only super-meta connection on Supergirl. Supergirl's adoptive father, Jeremiah, is played by Dean Cain, best known as one of the stars of Lois & Clark: The New Adventures of Superman, which ran from 1993 to 1997.